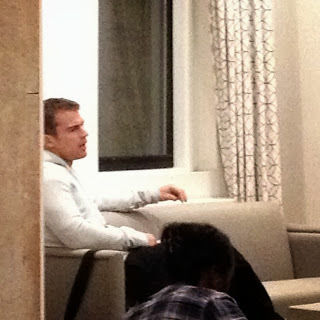 Theo James has been spotted in Philadelphia! He is there to film new movie 'Franny' with Dakota Fanning and Richard Gere. Theo and Dakota play a married couple. "#theojames in my lobby #swoon #hottie #downtownabby #franny #philly"